Kevin Cole & The Las Vegas Hypnosis Center. There’s no need to struggle with patches, pills & gums anymore. 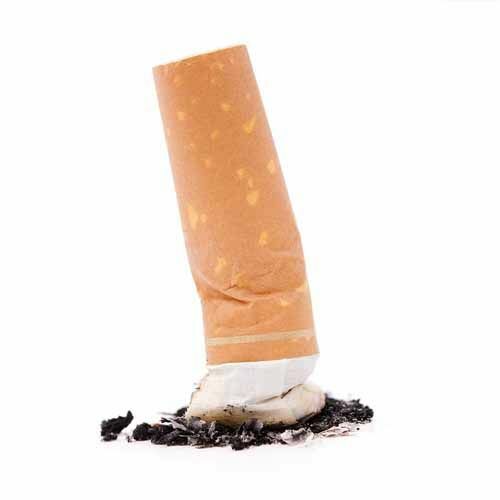 If you’re ready to quit smoking with hypnosis, your Las Vegas hypnotherapist, Kevin Cole can help. If you are tired of the hassle and burden of being overweight, then we can help. Each weight loss hypnotherapy program is customized specifically to you. In these stressful times, when the anxiety keeps building, you need a highly skilled Las Vegas hypnotherapist to teach you how to create balance and joy in your life. My name is Kevin Cole, Las Vegas Hypnotherapist, and the founder of The Las Vegas Hypnosis Center. Despite my youthful appearance, I was born in 1974 (which means I’m over 45 years old), and since 1996 I’ve been involved with hypnotherapy, Neuro Linguistic Programming (NLP), and many other fast working and extremely effective methodologies for helping people overcome their challenges and experience great joy and passion for life. In addition to holding dozens of certifications from a great variety of trainings, I also teach classes on Hypnotherapy, NLP and Life Coaching as well. Although Hypnotherapy obviously has the word “therapy” built in, it is NOT psychotherapy. That said, psychotherapy absolutely has it’s place for those that are seeking a diagnosis of some kind and possibly medication, but because I am neither a psychotherapist, nor a doctor of any kind, my approach is completely different. I’m not going to have you just sit on a couch and talk about your past, I’m not not going to diagnose you with anything, and I’m not going to prescribe you any kind of medication. Again, all of that has its place, and if you feel a need for any of that, let me know and I will happily refer you to one of my psychotherapist friends and colleagues. They are excellent at what they do. What Kind of Hypnotherapy Do I Do? What I AM going to do, is help you gain clarity on what you want in life, what’s currently stopping you, and together, with the power of hypnotherapy and other scientifically validated modalities, we are going to help you experience profound changes in your life- Fast! So whether you’re looking to finally be done with smoking, are tired of hearing from doctors that “there’s nothing else we can do for your chronic pain”, whether you’d like to finally be free from a specific phobia, or maybe you have a more serious challenge to resolve in your life, it would be my pleasure to have you take advantage of a Free Hypnosis Strategy Session with me via phone. You can simply call my office at 702-626-4901. Also, recognize that although I help people overcome great challenges in life, I also help you take your personal and professional life to greater and greater levels as well. So even if you’re not dealing with any specific “issues” right now, and are looking for High Performance Coaching & Hypnotherapy, I can absolutely help. Again, give me a call for a Free Hypnosis Strategy Session at 702-626-4901. Whether you need help with letting go of a bad habit, or want to know more about tools to help you experience more joy, happiness, and passion in your life, your Las Vegas hypnotist, Kevin Cole would love to hear from you. Or if you just want to share some simple feedback, we appreciate that as well. The testimonials shown are specifically only the experience of the client in the testimonial. Individual results may vary. Results shown are not necessarily typical. Success with hypnosis, commonly referred to as hypnotherapy, is dependent on many variables, including the client's attitude, follow-through, adherence to the program, personal health and history. Please consult your physician before beginning any program. The Las Vegas Hypnosis Center does not diagnose, treat, or prescribe for any psychological or medical disorders. If you suffer from a psychological or medical disorder, please consult your physician or psychotherapist.